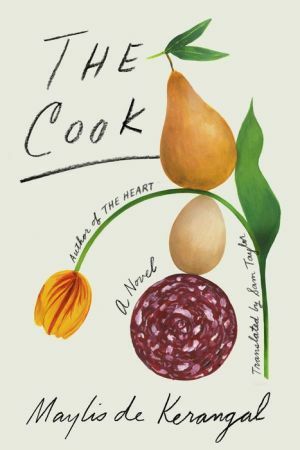 More like a poetic biographical essay on a fictional person than a novel, The Cook is a coming-of-age journey centered on Mauro, a young self-taught cook. The story is told by an unnamed female narrator, Mauro’s friend and disciple who we also suspect might be in love with him. Set not only in Paris but in Berlin, Thailand, Burma, and other far-flung places over the course of fifteen years, the book is hyperrealistic―to the point of feeling, at times, like a documentary. It transcends this simplistic form, however, through the lyricism and intensely vivid evocative nature of Maylis de Kerangal’s prose, which conjures moods, sensations, and flavors, as well as the exhausting rigor and sometimes violent abuses of kitchen work. In The Cook, we follow Mauro as he finds his path in life: baking cakes as a child; cooking for his friends as a teenager; a series of studies, jobs, and travels; a failed love affair; a successful business; a virtual nervous breakdown; and―at the end―a rediscovery of his hunger for cooking, his appetite for life.